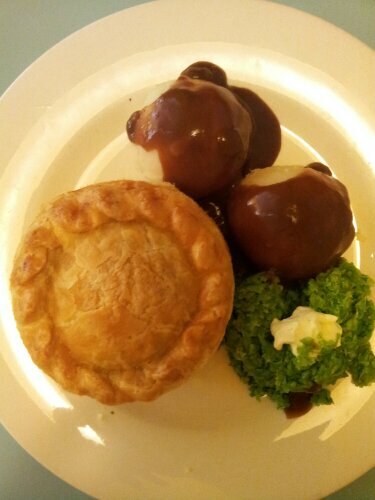 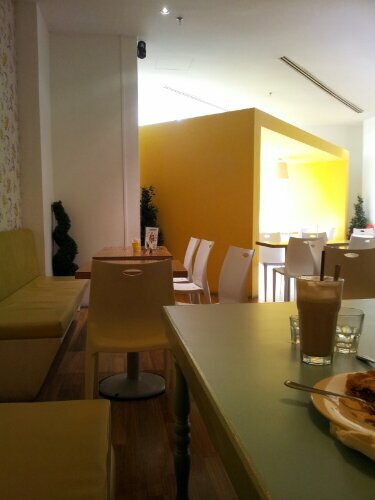 I had it with my friend at Marmalade Cafe in Bangsar Village last weekend. 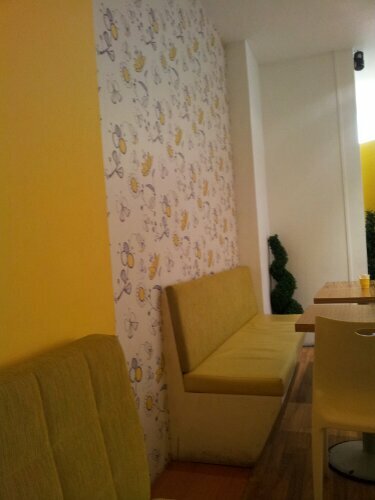 My first time perception..I love the decoration and color combo..it makes the small cafe bright and cheerful. 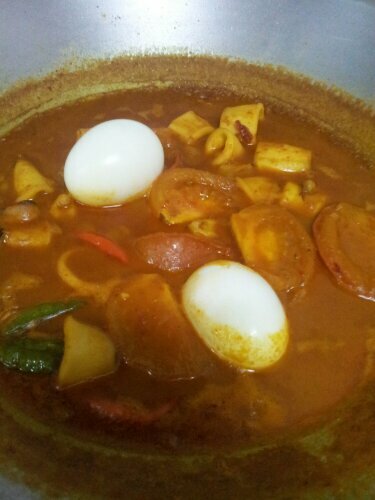 So at home was kinda hungry on one boring Sunday…thinking what to cook..lazy to go out..lazy to buy raw food..look in the freezer..only squids left…so what else..lets cook curry sqiuds with boiled eggs..